Looking into head of Barlow River with Mount Kensington and Garden of Eden. Devil's Backbone (r). 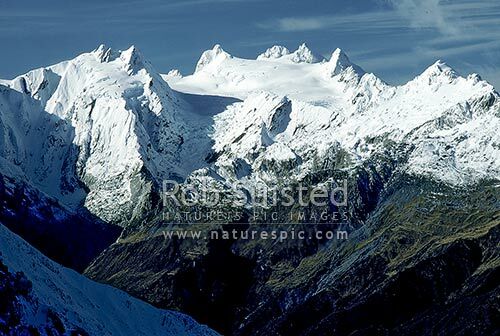 Southern Alps, Mt Adams, Westland, Westland District, West Coast Region, New Zealand (NZ), stock photo.